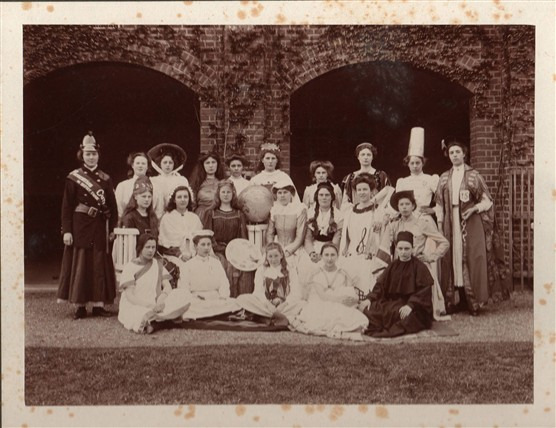 Elsie is 4th from the right in the back row. I would love to know who the other girls are, and the occasion? There is a globe in the middle, so perhaps they were celebrating Empire Day? 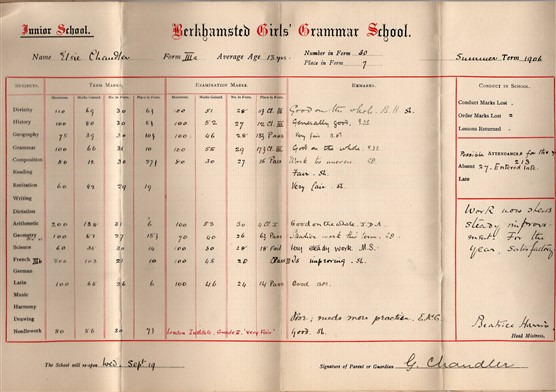 Elsie did not do well at school, but her reports show the range of subjects that were taught. This report, from 1906, shows the Junior School curriculum. 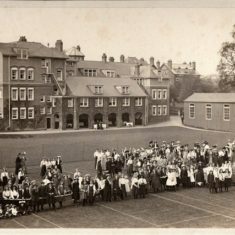 My grandmother, Elsie Chandler, was a pupil at Berkhamsted Girls’ School from 1905-1909. 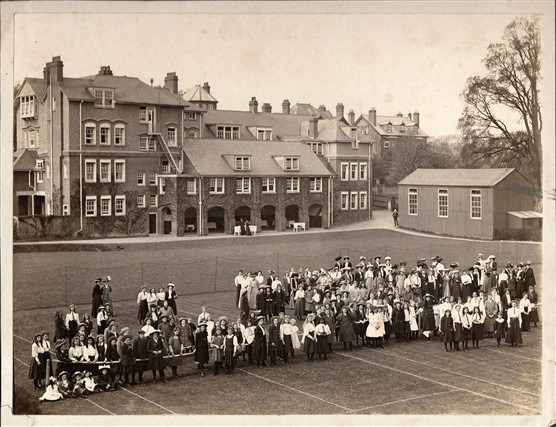 She was 13 when she entered the Junior School, transferring to the Senior School in 1907, and leaving at the age of 16. 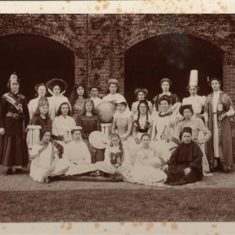 Elsie was a weekly boarder, as she lived 15 miles away at Linslade, Bucks, where her father was a corn and coal merchant. She remembered being unhappy at school, where many of the girls came from a higher social background. 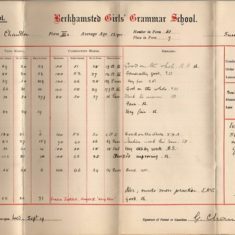 Her Senior School reports show that the older girls studied Literature, Ancient History, Euclid, Algebra and Chemistry. A very broad curriculum for girls at that time. When she left school Elsie became a cashier, but went on to become a teacher, so perhaps her memories of school were not all bad!